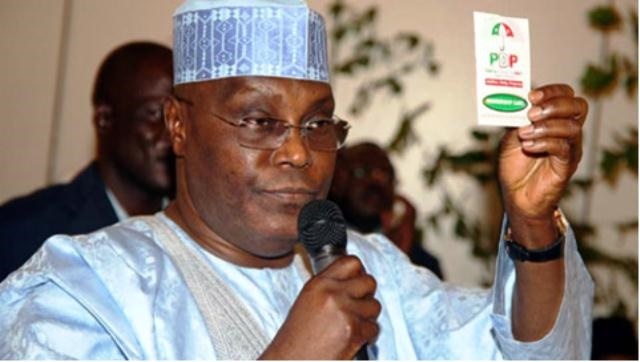 One of daughters of Atiku Abubakar, Fatima Atiku-Abubakar, who is the Adamawa Commissioner for Health, has said she has not followed her father to join the Peoples Democratic Party (PDP). Now that a former Vice President, Atiku Abubakar, has returned to the Peoples Democratic Party (PDP) all eyes are on his allies and his family members. But one of his daughters, says she has not followed his father to the opposition Peoples Democratic Party (PDP). Fatima Atiku-Abubakar, a medical doctor and Adamawa State Commissioner for Health denied reports that she has resigned her appointment to join the PDP. There were reports on Tuesday that Fatima and seven other commissioners have resigned because of their loyalty to the former vice president. But Fatima on Wednesday said: "I have not resigned and I am performing my duties as the representative of the Governor on all health matters in the state". Fatima, 45, is the first child of Atiku. She was appointed commissioner in August 2015. On Sunday, Atiku returned to the PDP for the third time since 2007 when he left the party after serving eight years on its platform as a Vice-President. His defection has triggered speculation of a looming mass defection from APC, especially amongst his loyalists. But the chairman of the APC, Mr John Oyegun, said there will be no such defections.